On October 6, the US government agency responsible for tracking energy supply and usage released its annual winter fuels outlook. The report predicted that next winter will be warmer than average but energy prices will be lower. Consequently, consumers are expected to pay 10 – 20% less on their household heating than last winter. The report notes that the use of cord wood and wood pellets as the primary residential space heating fuel has increased by 33% since 2005 and estimates that about 2.6 million households mainly used this fuel source in 2014. About 8% of households use wood as a secondary source of heat, making wood second only to electricity as a supplemental heating fuel. The report, produced by the Energy Information Agency (EIA), projects primary wood and pellet heating to grow by 1.4% during the 2015-2016 winter. Electric heating is projected to rise even faster, by 2.5%. Natural gas is projected to remain basically flat, and oil and propane heating are projected to decline by 4.4% and 3.4%, respectively. The overall national residential wood heat rise of 1.4% includes quicker projected growth in the Northeast and a slight decline in the West. Wood and pellet heating is projected to rise fastest in the Northeast at 2.8% and the South at 2.6%. It's only projected to rise 0.8% in the Midwest and decline by 0.3% in Western states. In 2014, the Pellet Fuels Institute reported that shipments of pellet stoves grew by 41%. On average, 2 out of every 5 new stoves sold is a pellet stove and 3 are wood stoves. This ratio does not include the popular, though polluting, uncertified wood stoves that are still on the market until the end of this year. 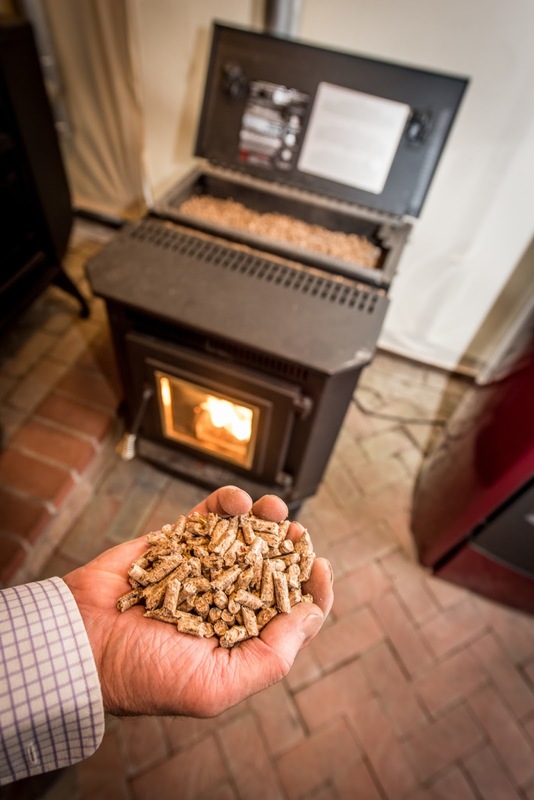 "The trend towards more pellet heating is crucial as wood heat expands in America," said John Ackerly, President of the Alliance for Green Heat. "The growth in pellet heating, even as oil and gas prices fall, show a demand for a cleaner, local fuel that still can be greatly scaled up," Ackerly said. Wood heating was increasing faster than electric heating for many years, but since 2008, wood has increased by nearly 10% and electricity increased by nearly 15%. In terms of the amount of energy generated by residential renewables, wood continues to be the dominant player, generating 66% of all residential renewable energy in 2014. Solar produced less than half the energy as wood and pellet stoves, making up 29% of residential renewable energy in 2014. Geothermal produced nearly 5%. However, solar will soon be catching up to wood according to EIA projections, thanks to extensive state and federal subsidies. In 2016, the EIA projects that wood and pellet stoves will only produce 54% of residential renewable energy and solar will produce 40%. Geothermal is projected to rise to nearly 6%. The EIA did not include data or projections on wood and pellet hearing until their 2012 report. Senator Shaheen (D-NH), the Alliance for Green Heat, and other groups pressed the agency to be more inclusive of the technology that was used by more households than oil or propane. Since then, the EIA has gone much further and is about to start surveying wood pellet producers to provide accurate and timely data about pellet production and usage. Click here for a full copy of the EIA report.